MDSA President Carolyn Pfrank was interviewed last fall (then as Vice President) by Dog Fancy Magazine. 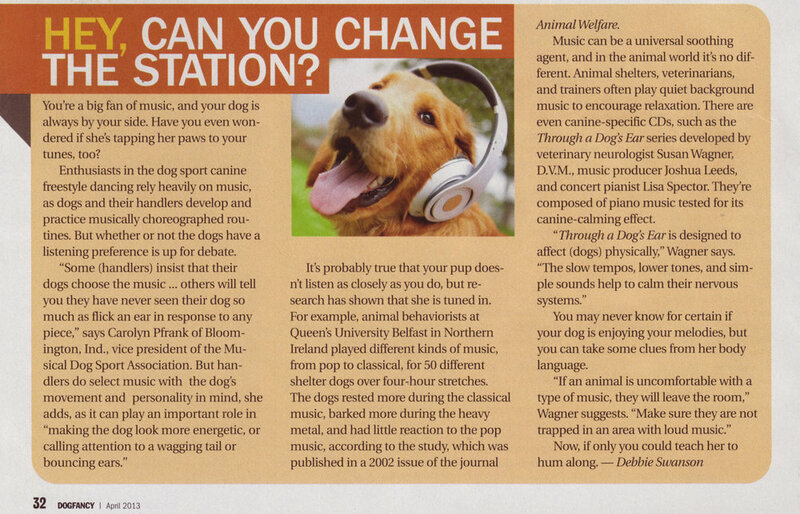 Read the article below about dogs and music. Let us know your opinion in the comments section below! How does your dog respond (or not) to music?